Is this a sign of things to come? 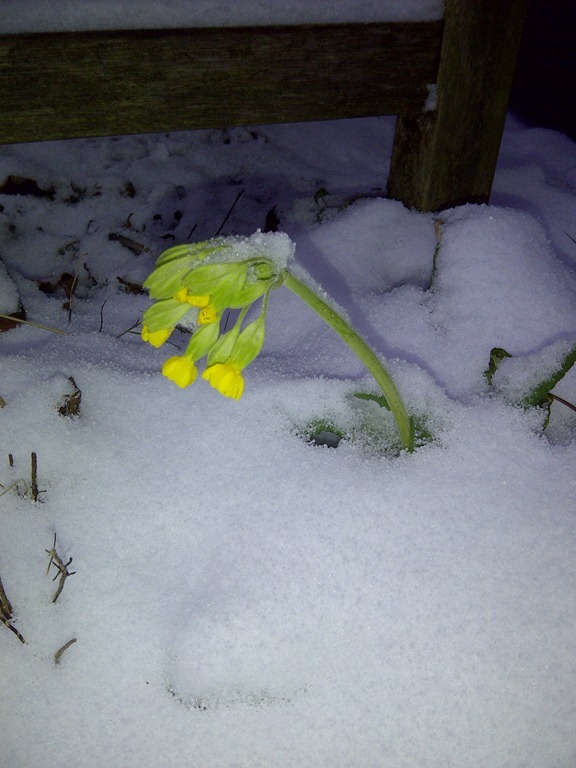 A cowslip in the garden peaks out from the snow. This entry was posted in Environment, Garden. Bookmark the permalink. 1 Response to Climate Change?